2018 sponsors in the PNW racing needs to step it up!! Nobody but the Pros get something in reward for making it to the steps! How about all the other racers who pay plenty to race, race hard, break parts, and make it to the podium for a piece of wood! The people that race CDC are great, but the fact that there is NOTHING for the expert and sport categories makes me feel like I pissed money away to see if I can brag at the end of a race while abusing the crap out of my bike! We don't have sponsors and mechanics to hook us up! Thought things might change a bit this year but as the first race indicated - NOPE, it has not! Back East, the Eastern States Cup always had something for everyone who one! Even if it was a bag of Kettle Corn - They had sponsors that could give something for everyone on the steps 1st thru 5th!!! I won't be signing up for another series out here if thats the way CDC keeps going. It's a shame because its been some of the best times and places to ride! 2012 Specialized SX Trail w/ fox rear shock & custom build: - Rock Shox Lyric RC2 DH Air - Mavic Crossmax tubeless wheelset - Shimano Zee brakes - Shimano XT crankset - Gamut chainguide - Renthal stem - Sram X7 rear derailleur, shifter, brand new chain - Cane Creek headset - Raceface lock-on grips - Specialized handlebar, benny pedals, P.series saddle, butcher tires Rarely ridden over the past three years. Once this year and maybe twice last year. Great bike that will do it all! Started the SX as my trail bike for just over a year. 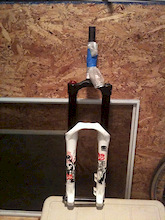 Then I got some wagon wheels and the SX became my freeride/DH bike. 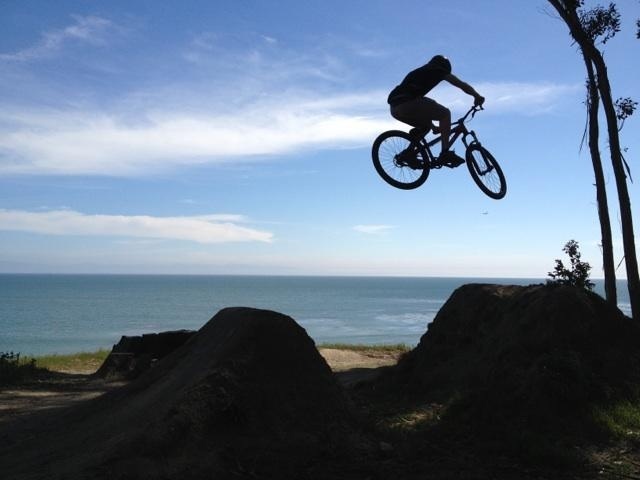 I do mostly trail riding with the occasional trip to the bike parks. Few minor scratches but overall bike is in excellent condition.